States get the final say in whether to expand their Medicaid programs and how to accomplish that. 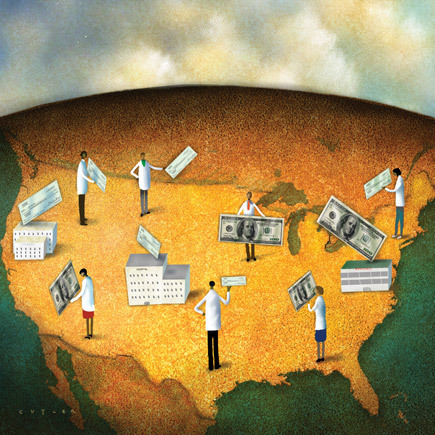 The resulting disparities have prompted physicians to get involved to secure access for their patients and funding for themselves, their practices and their hospitals. Internists can head up a care team that intervenes early and often in preventing the ulcerations, pressure points and neuropathies that can progress to infection and possibly amputation. New agents improve upon warfarin, but they are expensive and lack antidotes for urgent reversal. There is no clear winner among the current options, and more are on the way. The majority of Clostridium difficile patients come from outside the hospital setting. Ami Bera, MD, FACP, now represents Sacramento County, Calif., residents in the U.S. House of Representatives. ACP will continue to press for a process that ensures physicians remain up-to-date on clinical knowledge, but in a much less burdensome way than the current methods. Health care reform has reached its implementation stage, and internists will now face new patients with new questions about how to access health care. A doctor's medical education transitions him to the role of leader, even as he reflects on how little his training has prepared him to be one. This issue includes stories on Medicaid expansion in the states, diabetic foot care and addressing Clostridium difficile in the community. Learn more about how the new coding system will play out in your offices, and 11 ways that it won't. Learn how to bring patients up to speed on their new access to health care via health insurance marketplaces, or as they're known, “exchanges.”. A 66-year-old man is evaluated in the emergency department for chest pain. He describes a sharp pain in the midchest that does not radiate. The pain began suddenly at rest and has persisted for approximately 40 minutes. He has hypertension treated with amlodipine. Following a physical exam and lab results, what is the most appropriate diagnostic test to perform next?.